When a couple decides to get a divorce in Florida, they are required to divide their marital property in an equitable fashion. Similarly, those with children who decide to dissolve their marriage will need to come to an agreement regarding child custody and visitation. Unfortunately, these tasks are difficult for many couples, especially those with acrimonious relationships, so courts are often forced to step in and make the decision. In order to make a fair judgment, courts require both parties to disclose and exchange their financial information. 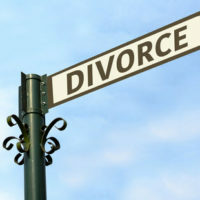 For help determining what kinds of documents you need to give the court or if you have concerns that your spouse is not being completely honest about his or her financial situation, it is critical to speak with an experienced divorce attorney who can ensure that your interests are protected. Any court orders directing a party to pay or receive alimony or child support. Even after all of these documents are submitted, the parties are still required to supplement the documents whenever a material change in financial status occurs. Those who fail to comply with these rules face sanctions from the court and are much less likely to receive a favorable ruling. To speak with an experienced Fort Lauderdale attorney about filing for divorce, please call Sandra Bonfiglio, P.A. at 954-945-7591. You can also reach a member of our legal team by completing one of our brief online contact forms.